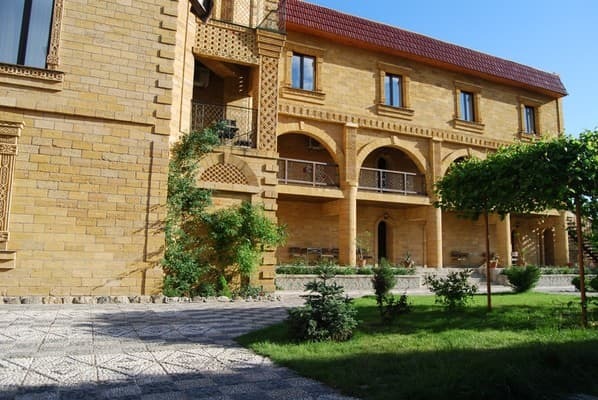 Villa "ARKALE" is located in a resort area near Evpatoria from the waterfront and the central park area with sandy beaches, water attractions and cozy restaurants. 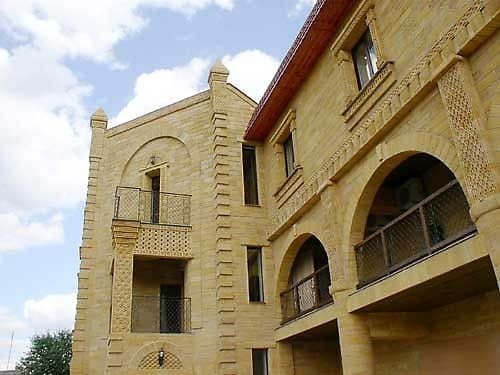 From the street the guests get to the private, cozy and spacious courtyard with a summer terrace and a barbecue. 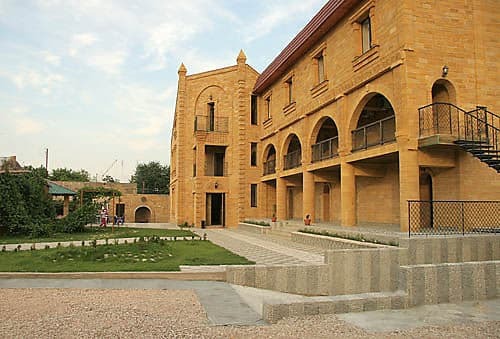 The building of the valla is built in oriental style, faced with natural stones that will allow you to experience the atmosphere of mysterious East. 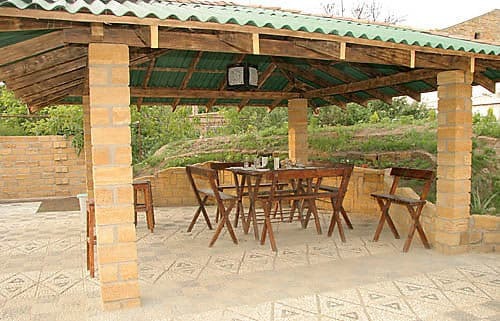 Pergolas entwined with vines, with comfortable furniture will hide you from the southern sun in the afternoon. 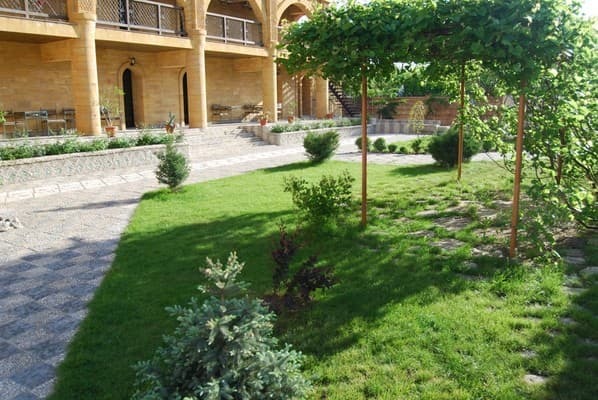 For the youngest guests there is the yard which is equipped with a play area. On the territory there is a guarded parking for 10 cars. Description of the room: Each of the rooms has a separate entrance from the gallery on the ground floor. There is one room in this type of room. There are two single beds, a wardrobe, a table, chairs, a coffee table. All the amenities in the room. Description of the room: One room is 30m. sq. m. in Moroccan style, with a separate entrance from the gallery. Room with a large double bed and a sofa, wardrobe. 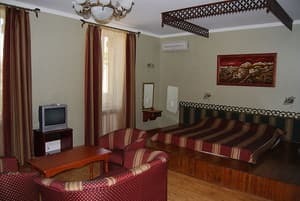 Description of the room: Spacious double-level room, 40 square meters. m., for a large company or family. On the first level there is a folding sofa, two armchairs, a coffee table. On the second level there are two single beds or one double bed. Possible accommodation from two to four people. Description of the room: Two-room single-level room is designed for two or four people. In the room there is a double bed and a double sofa, a buffet, a coffee table, two armchairs. All the amenities in the room. 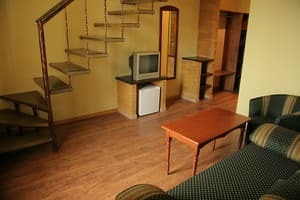 Description of the room: The suite is also located on two levels. The room consists of 3 rooms. On the first level there is a large double bed, armchairs, a sofa, a bath, a toilet, a wash basin, a bidet. On the second level there is a folding sofa, a table, and also a transition to the third room, in which there are two single beds, a washbasin and a toilet. Обслуживание, персонал, уборная, общая атмосфера виллы. Слабый Wi-Fi и только на первом этаже. Скачки температуры воды. Пару раз зависал тюнер спутникового ТВ. Небольшой выбор меню питания. Все, в принципе, чисто, уютно, есть все что нужно для жизни, удобно что рядом останавливается маршрутка которая едит к морю на нормальный пляж. 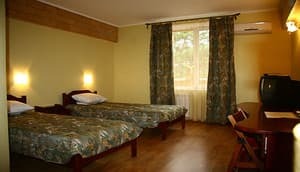 Extra place in a double room on a folding-bed - 50 Uah. Extra place in a double room. Sofa - 85 Uah. Villa "ARKALE" is situated at the crossing of Pushkin Street and Moscow Street. It is better to get to Evpatoria by direct train. From Simferopol to Yevpatoria you can get by bus (about 1.5 hours) or by train (about 2 hours).